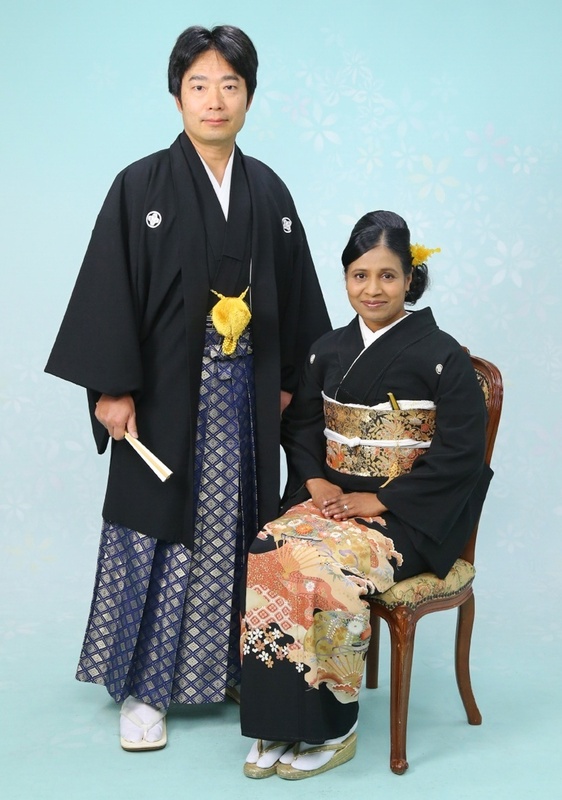 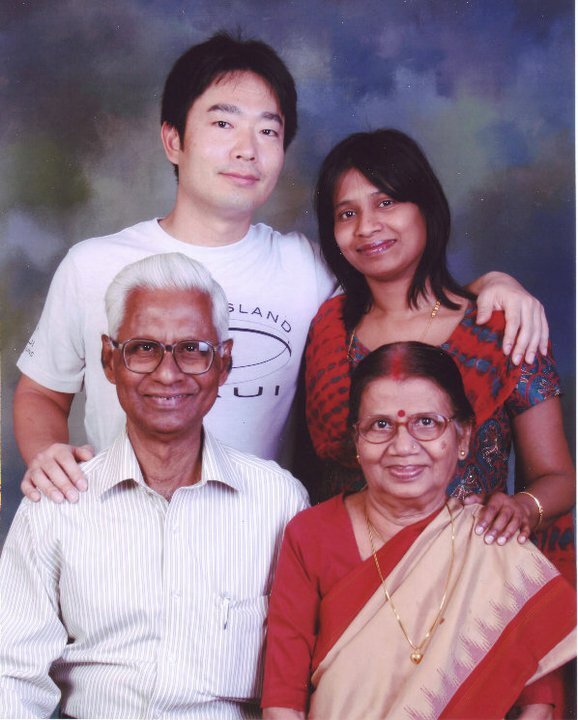 During the Golden Week holidays, hubby and I had been to his home in Ichinomiya City. 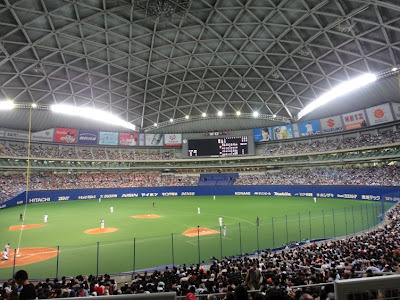 On the evening of 29th April, we went to see a professional baseball game at Nagoya Dome. 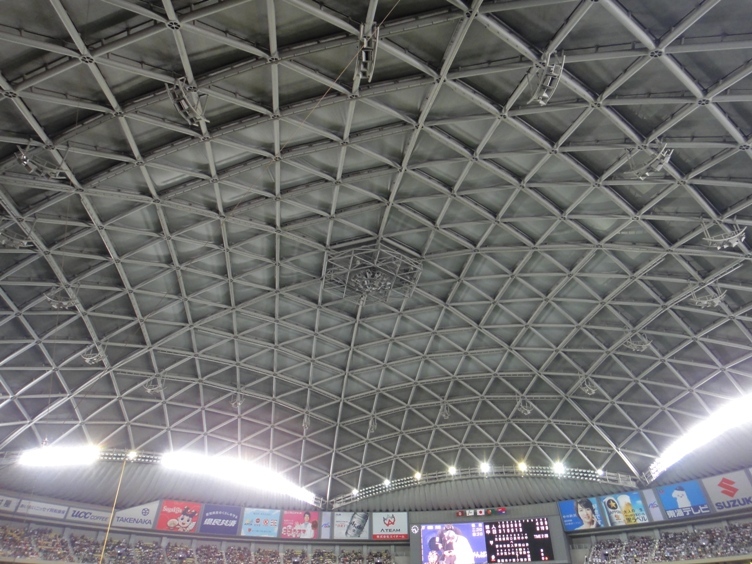 Nagoya Dome is a geodesic dome that opened in Nagoya City in 1997. 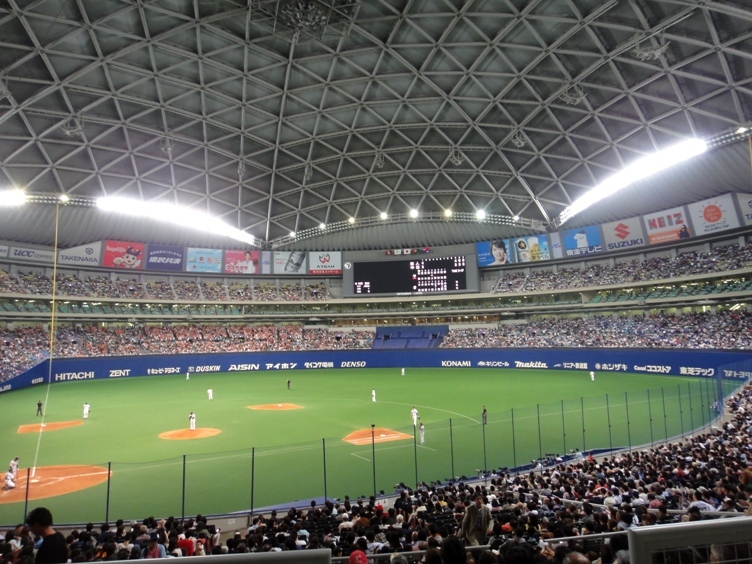 The dome is primarily used for baseball, and is the headquarters for Chunichi Dragons baseball team. It has a seating capacity of 40500 people (38414 people during baseball games). On 29th April, the game was played between Chunichi Dragons and Yomiuri Giants teams. 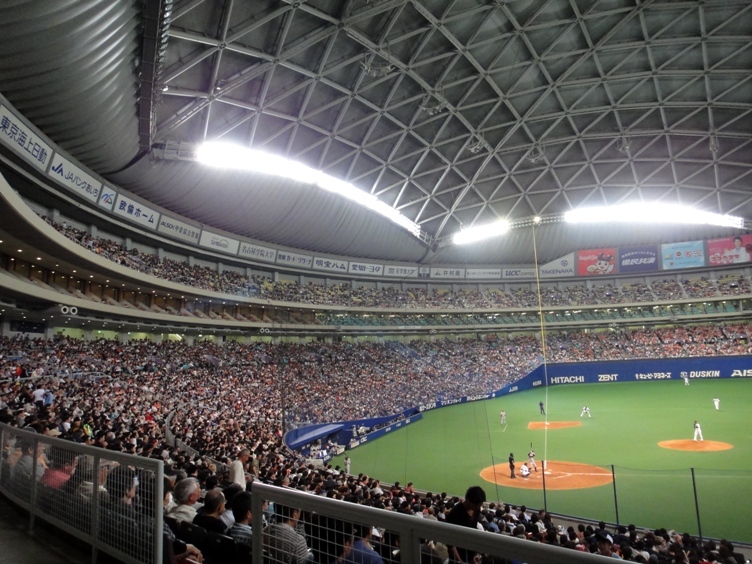 Baseball is probably the most popular sport in Japan. 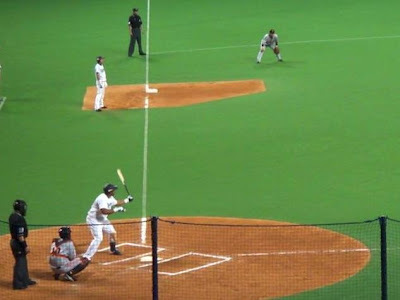 There are two professional baseball leagues in Japan; the Central League and the Pacific League, each consisting of six teams. 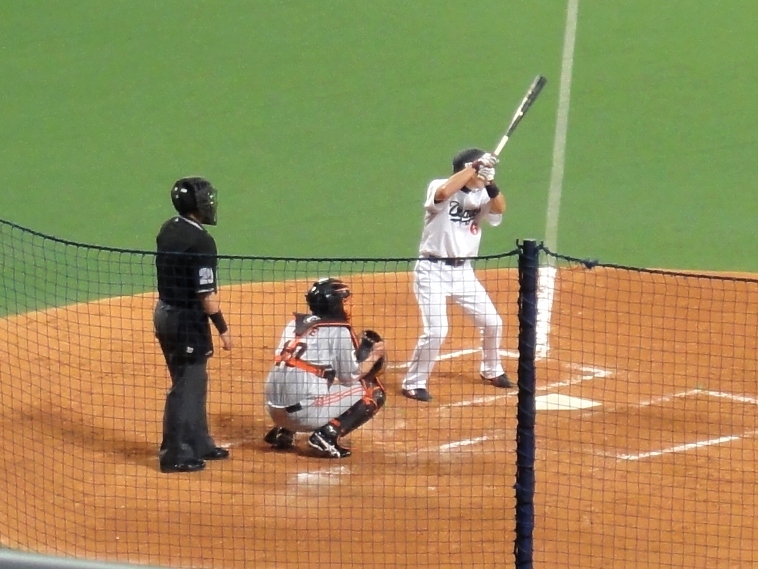 Chunichi Dragons and Yomiuri Giants teams both belong to the Central League. A friend of my father-in-law had presented him with two tickets for this particular baseball game held on 29th April. 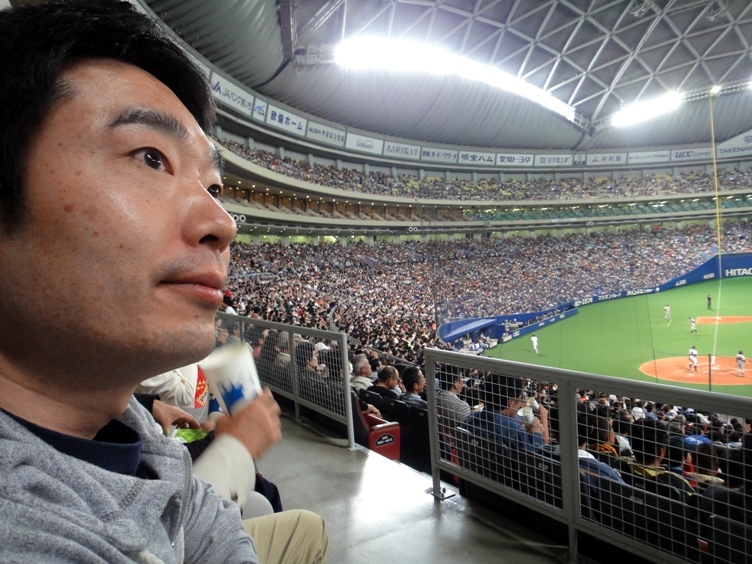 He and his wife had other prior obligations, and therefore hubby and I got to go to the game. 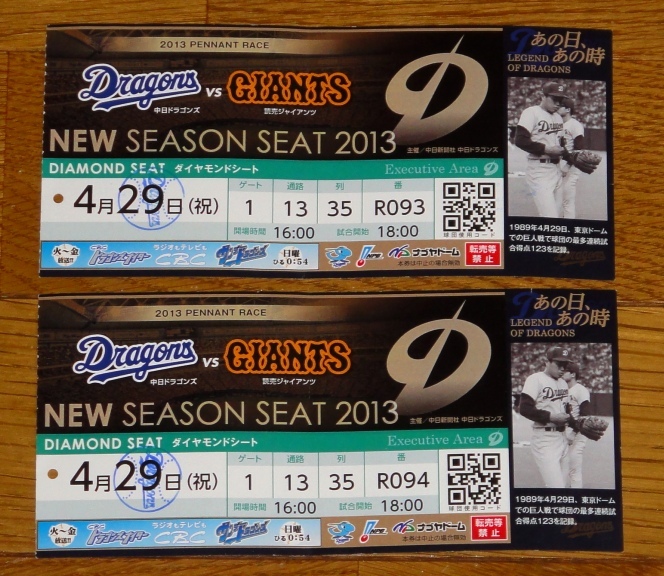 The tickets were for the seats called Diamond Seats. It was a night game that started at 6 pm. 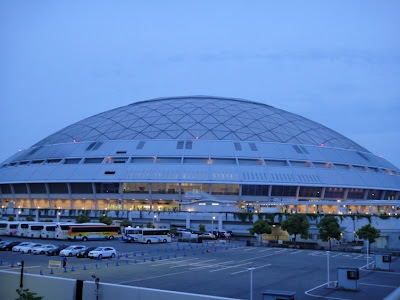 We went to Nagoya Dome stadium by train and had to make transfer several times to reach Nagoya Dome-mae Yada Station, which is the nearest railway station to the dome. From the station, we had to walk for about 10 minutes to reach the dome stadium. 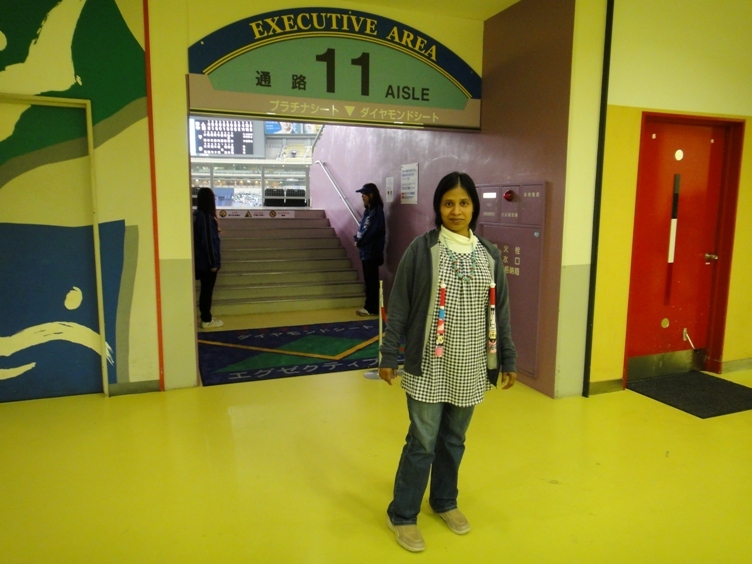 On reaching the stadium, we saw that there was festive mood all around. After taking a few photos of the stadium entrance and its surroundings, we entered the stadium. The minute we entered inside the stadium, we were transported to a different world altogether. Nagoya Dome is really big and clean. 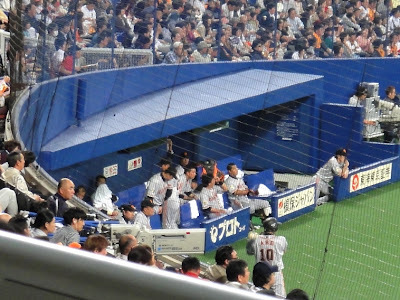 Our seats overlooked the stadium and the whole field was visible. 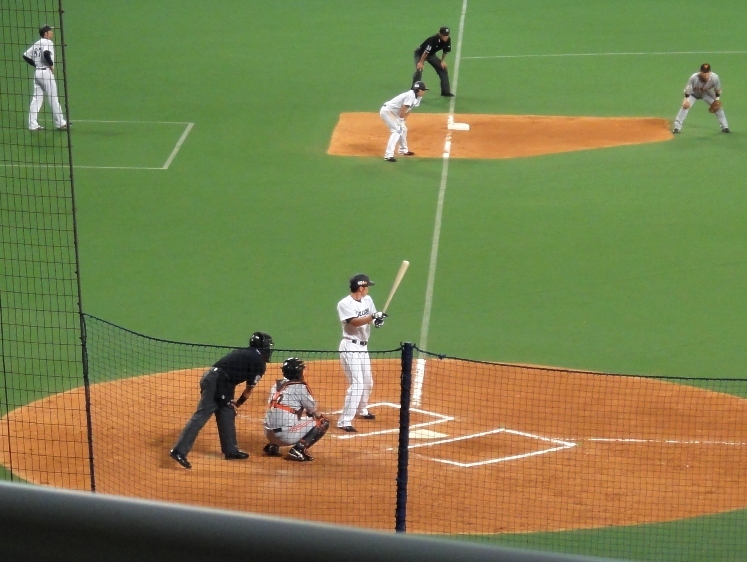 The baseball game was already underway and it was fun to watch the game. 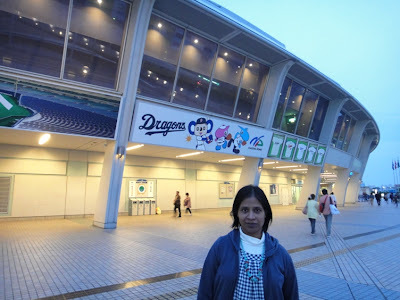 Hubby and I are Chunichi Dragons fans and almost all people around our seats were also fans of the same baseball team. We loved the atmosphere inside the stadium where we all fans cheered for our favorite team. 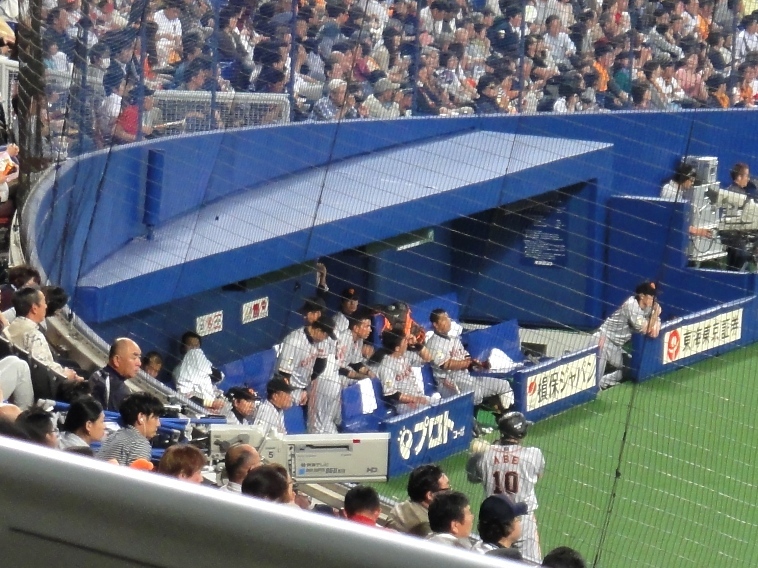 We could clearly see the bullpen of Yomiuri Giants team where the relief pitcher or the next batter warmed up. 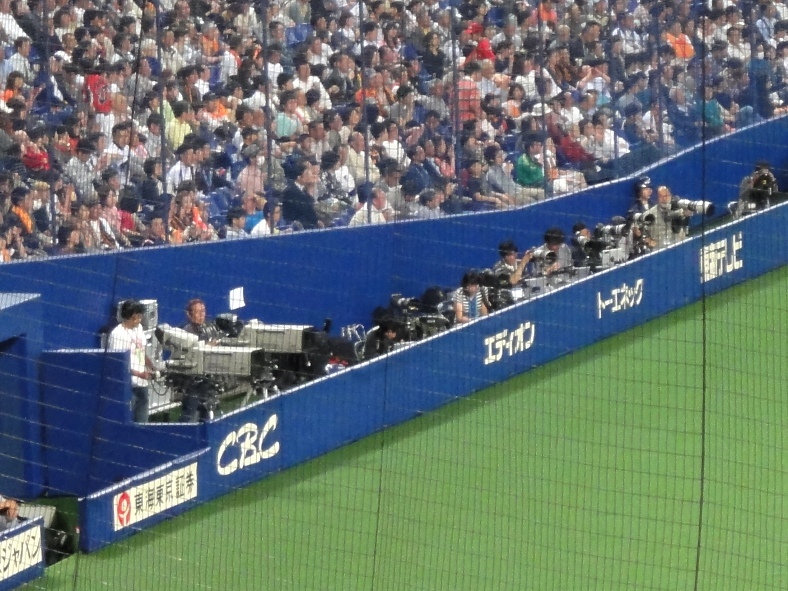 Adjacent to the bullpen, we saw crew members of various television networks and other media recording the game. 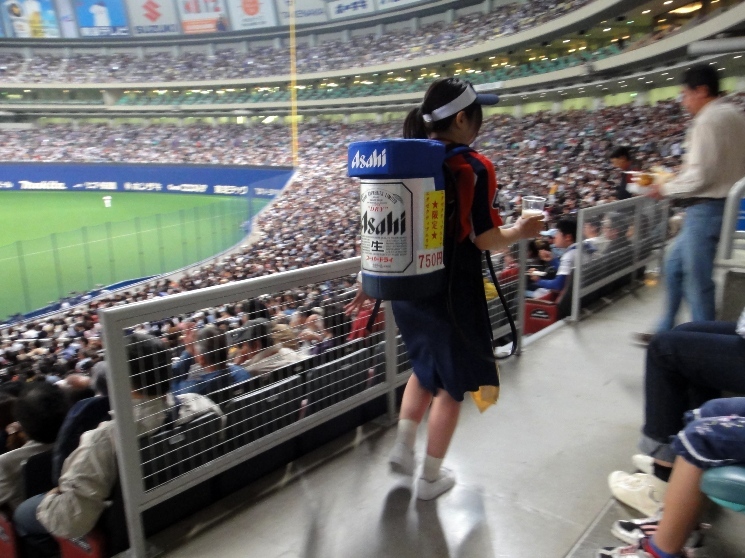 In addition, there were many pretty beer vendor girls who went up and down the aisles carrying a keg of beer on their back and sold draft beer to the spectators. 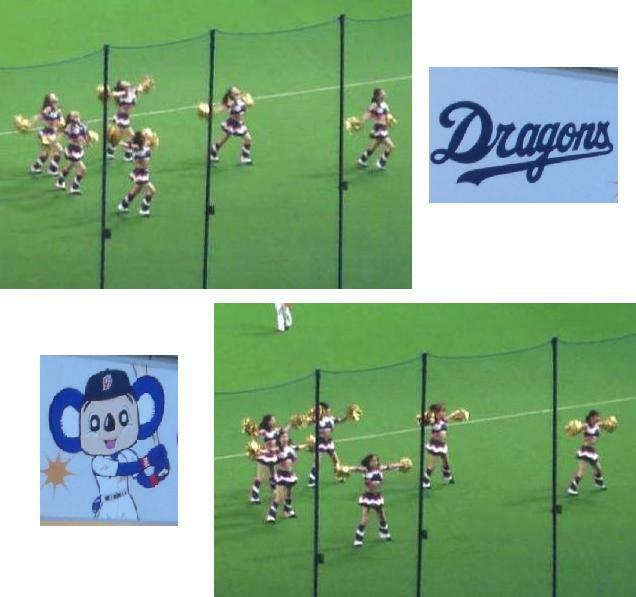 Several times during the game, many cute Chunichi Dragons cheerleaders danced to the team’s theme song on the field at the stadium. 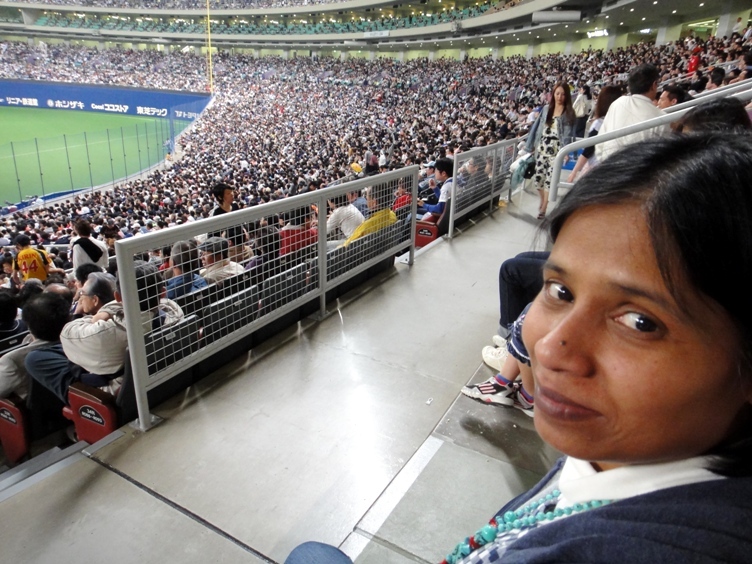 We loved the cheerful atmosphere inside the stadium. I would like to mention here that attending a baseball game in Japan involves active participation of the spectators and fans in cheering their favorite team. 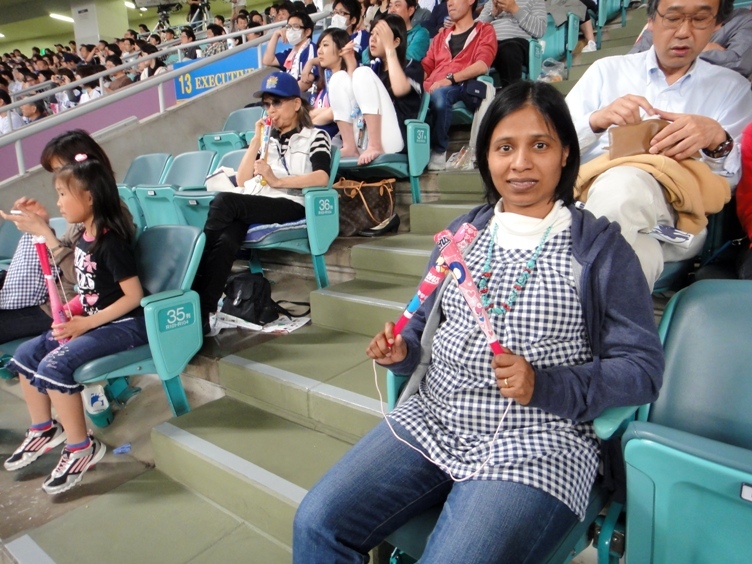 For me the most fun part was enjoying this unique highly choreographed non-stop cheering and singing by the fans. There was a coordinated cheering that was led by cheer captains, and this cheering and singing continued throughout the game. 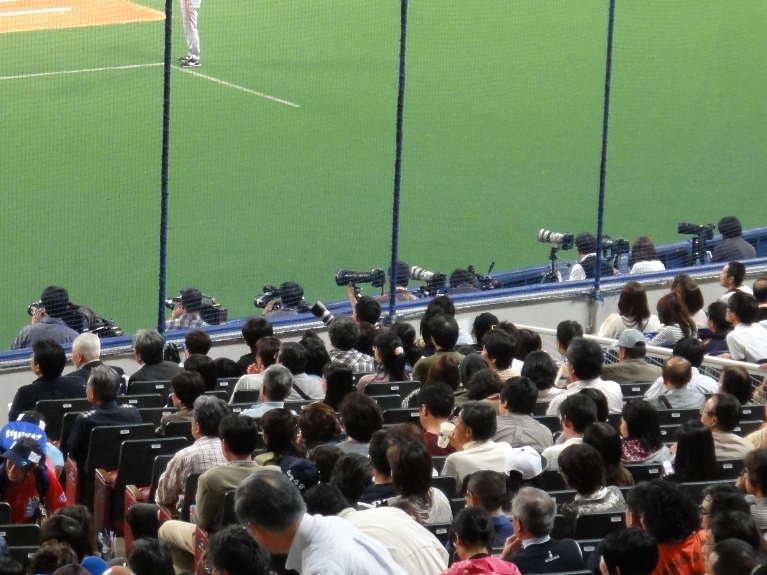 The fans of the batting team chanted, sang, and rhythmically banged plastic bats. 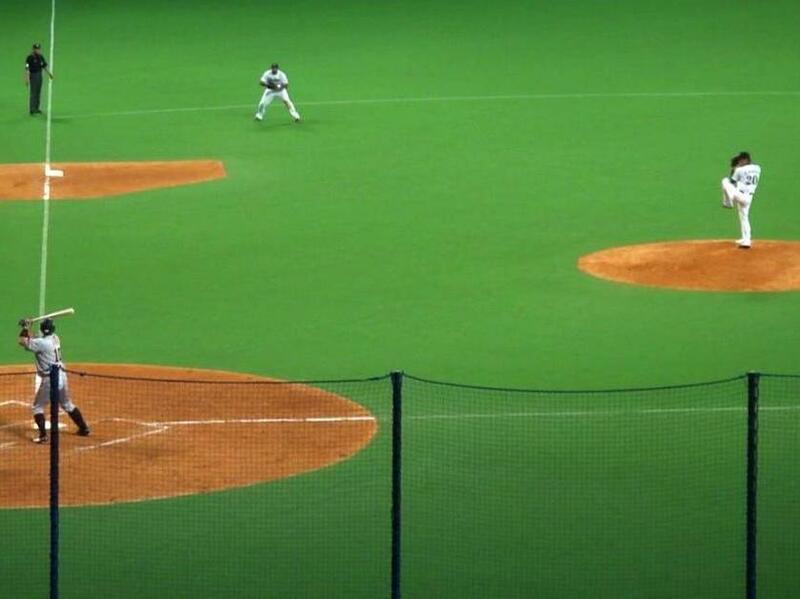 Their synchronized roar dominated the stadium. 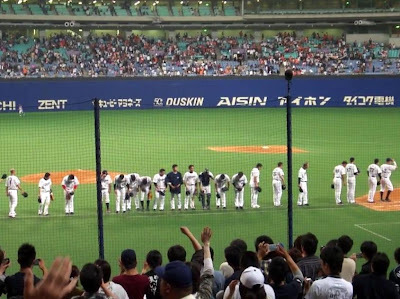 The fans of the team in the field maintained a respectful silence that was interrupted only by a wave of applause after a good defensive play. I compiled a couple of videos of the Chunichi Dragons cheerleaders dancing on the field at the stadium and the fans singing and cheering on their team. It was fun to watch the game also. 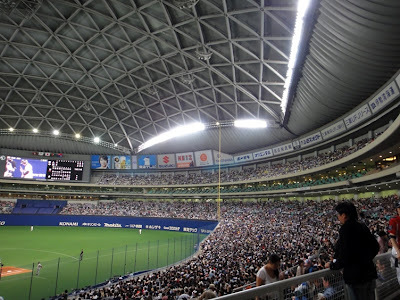 As the game progressed, the atmosphere in the dome stadium got hotter and stronger, and the fans cheered non-stop for their team. 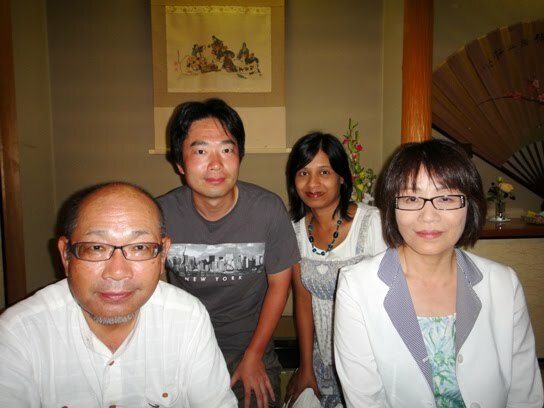 The fans have an immense love for their team and an endless reserve of energy. 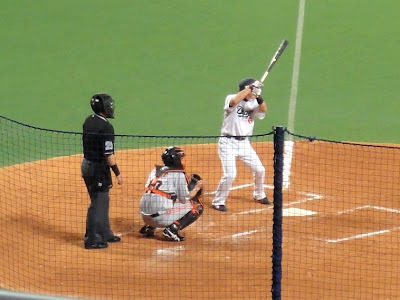 I compiled two videos of batting by several players of Chunichi Dragons team. 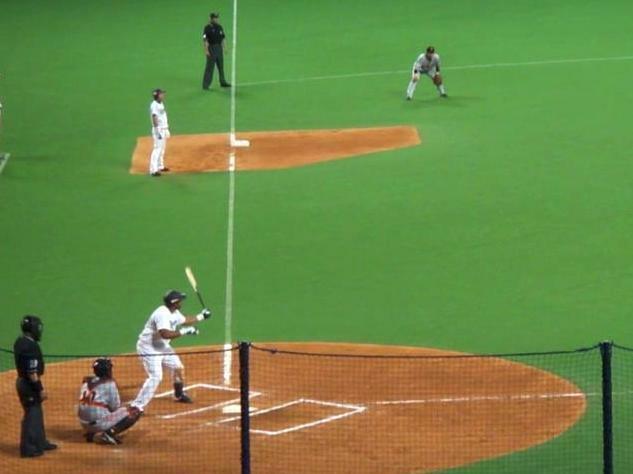 In addition, I also compiled a video of pitching by the Chunichi Dragons players. 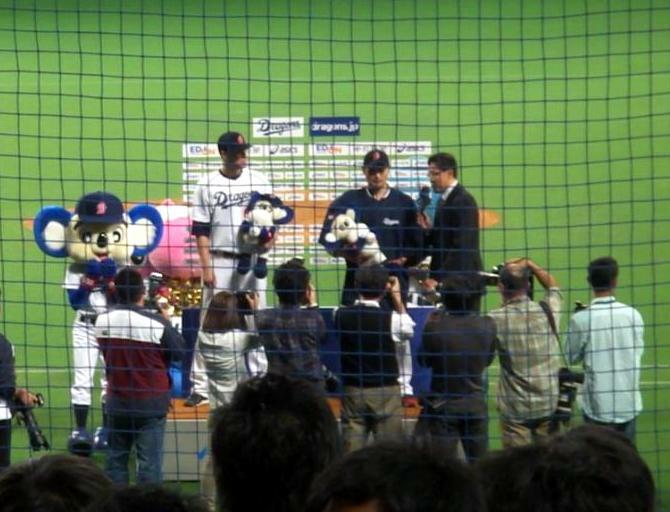 That day Chunichi Dragons team won the game and we listened to the hero interviews of two Chunichi Dragons players. 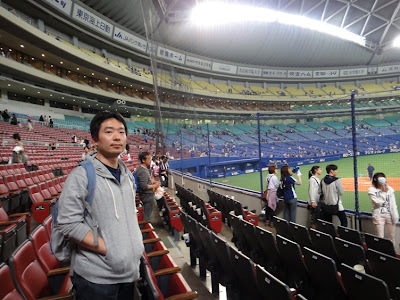 We were really happy as our favorite team had won the game that day. 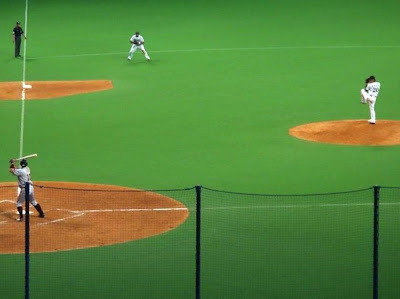 The game was over by 9.45 pm. 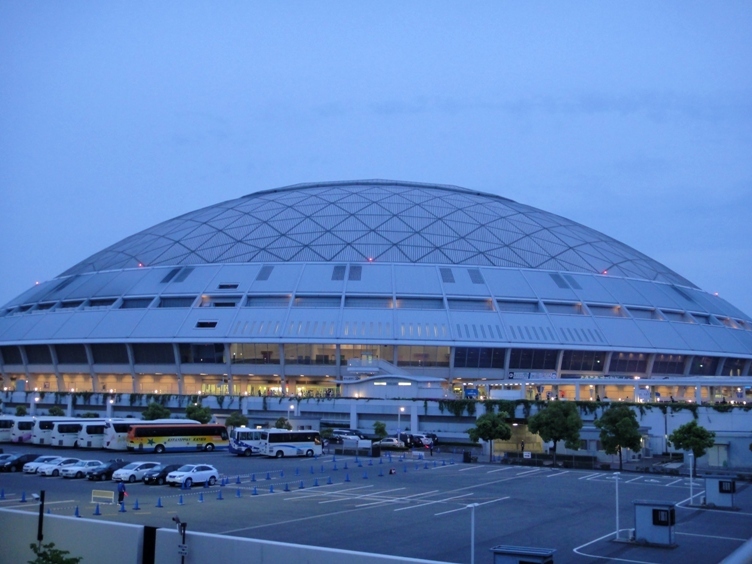 After the game, the atmosphere inside the dome stadium calmed down, and everyone packed up their belongings and shuffled out of the stadium. 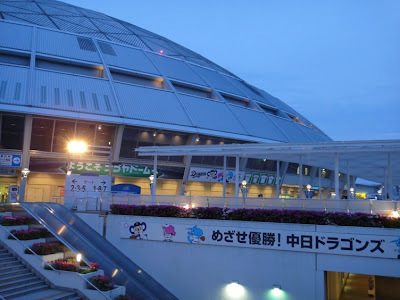 After some time, we also left the stadium. We left Nagoya Dome at about 10 pm, and walked up to the nearest railway station. 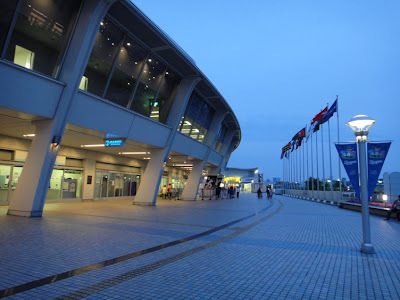 After travelling in a few trains for short distances, we finally reached back our home in Ichinomiya City at about 11.45 pm. We really enjoyed the baseball game.